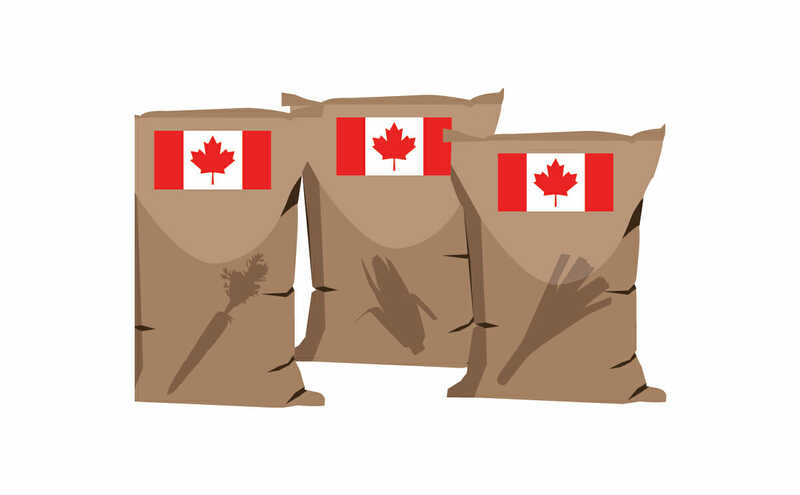 Canadian farmers have long been dependent on imported seeds from Europe and the USA. The Bauta Family Initiative on Canadian Seed Security, which launched in February, plans to change that. As the climate changes, newly adapted pests and diseases are parrying farmers’ every move while government-funded research programs are being slashed. Decades ago, farmers’ primary weapon was the amazing diversity of plants: if one kind of wheat failed, plant another; if a bug attacked your potatoes, switch varieties. As in most other countries, these farmers now generally rely on multinational agricultural companies like Monsanto to supply a narrow range of the latest and greatest high-yield, drought-tolerant, tasty crops. According to Susan Walsh, executive director of the agricultural non-profit group USC Canada, those seeds, which are largely grown in the southern United States and Europe, aren’t adapted to the swiftly changing Canadian environment, and that could cause major problems down the road. This delicate situation is why one of Canada’s wealthiest and most prominent families, the Westons, is funding a new five-year, $5-million effort to wean Canadian farmers off their dependency on American-and European-grown seeds and develop a better large-scale homegrown seed industry. The Bauta Family Initiative on Canadian Seed Security (named for founder Gretchen Bauta, daughter of W. Garfield and Rita Weston), which launched in February after a one-year pilot phase, will support a wide range of agricultural projects, from helping to build a new network of regional seed libraries to research on organic seed breeding. Like most North Americans, Canadians currently rely on four crops ”“ wheat, maize, rice and potato ”“ for 60 per cent of their daily calories. For Bauta, who was born during the Great Depression, the security of those four crops is paramount and why she decided to throw her support and millions of dollars from her family foundation behind the project. She says it is “frightening” that Canadian farmers aren’t growing their own seeds. In order to secure a reliable food supply, Walsh says the development of seeds must not focus solely on yield but on diversity; where five kinds of wheat are grown she wants to see 50. In order to do this, one project aim is to build a permanent network of community seed libraries in every corner of the vast country, as well as an online database that will act like an online dating site, pairing famers with seeds that have the qualities, like disease resistance, that they need. There will also be a farmer support component that will provide training, market research, market development and a fund to help Canadian seed producers grow and supply increased quantities of viable, adapted seeds. If farmers aren’t planting a diverse repertoire, Walsh says the consequences could be dire. “If we’re going to survive climate change we have to really start paying attention. In the 1970s there was a blight in North American barley crops and it devastated everything,” says Walsh. It took the discovery of a resistant heirloom gene by an Ethiopian scientist to save the barley and Canada’s brewing industry.